When the pooch starts getting a little plump, you know it’s time for a few things. More walks, less table scraps, and perhaps even an additional visit to the vet to make sure it’s still healthy. But while a rotund Rover can be a cute or funny sight, that extra layer for lovin’ can have some serious consequences. Thanks to National Pet Obesity Day on October 9, we can now all learn more about this problem among our beloved pets. Currently more than half of all domestic dogs and cats are clinically overweight, which is to say their body condition score is above a four. That amounts to nearly 49 million dogs and more than 50 million cats who are a bit portlier than their peers. This can lead to serious health issues for these animals, but the good news is that pet obesity can be easily prevented by taking a few cautionary steps. Thanks to the Association for Pet Obesity Prevention (APOP), we can now all learn what it takes to keep our furry friends healthy and happy. There are several ways to find out for certain if you need to put your pet on a restrictive diet. One of the easiest is to consult the resources offered by APOP, which include easy to use at-home body condition tests. Sometimes, we may not even be aware when our pets become overweight, so it’s important to know at what point it becomes a medical problem. Every year, APOP conducts a survey on National Pet Obesity Awareness Day, which helps collect data from around the country. This information is then used to create a snapshot of the state of pet obesity, and help put together a plan to tackle it. By taking part in the survey, you’re doing your part to help take on this challenging issue. If you’ve been neglecting getting your dog out of the house, make today the day to go for a walk around the neighborhood. Give it freedom to romp and sniff, and run if given the opportunity. Or even better, head to the local dog park, where it can socialize with other dogs and run off-leash for great, sustained exercise. 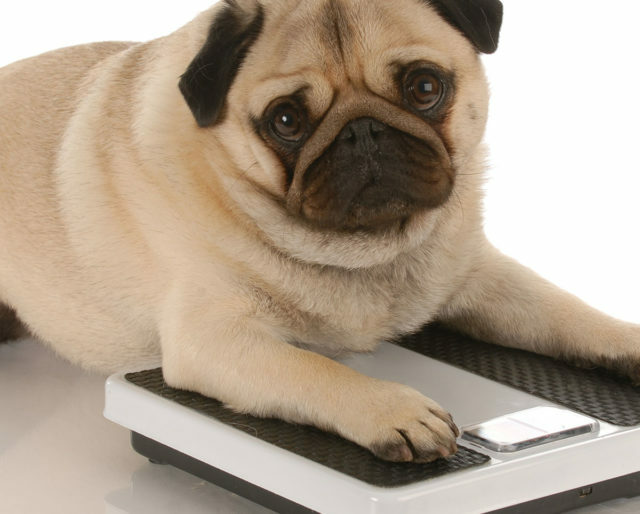 For years APOP has been conducting surveys to determine the state of health our pets are in, and unfortunately, it has determined that our pet obesity problem is only getting worse. In 2013, cats were heavier than ever, and the rate of overweight cats and dogs has grown slightly over the years. That’s why it’s so important to raise awareness of how to keep our pets slim and spry. Obesity in pets means more than just lazy animals. APOP data show obesity leads to reduced life expectancy, diminished quality of life, chronic inflammation, orthopedic disease, kidney dysfunction, respiratory disorders, cancer, and more. To give our pets the best life possible, we have to help them avoid packing a few extra pounds. Thanks to making it a national holiday, pet owners are now armed with the tools and information they need to keep their dog or cat healthy. APOP offers several resources, including at-home body condition tests, questions to ask the vet, pet caloric needs, ideal weight ranges, and more. By spreading this information, APOP hopes to significantly reduce the number of obese pets in the near future.